Alexander Kahn joined the music faculty this semester, and students are already enrolled in the university's first official symphony orchestra. Kahn holds a Ph.D. from U.C. Berkeley and a Graduate Performance Diploma in orchestral conducting from the Peabody Institute at John's Hopkins University. He was most recently a tenured professor at Gettysburg College in Pennsylvania. "It seems obvious that Sonoma State, with a performance hall like no other in the world, attracting artists like no other university in the world, should have a top tier symphony orchestra," says Kahn. Kahn uses positive motivation to bring out the best in his students. "The Dalai Lama said 'Be Kind whenever possible, and it is always possible,'" says the sandal-wearing, denim-clad music professor, from his office overlooking Weill Hall. "You can get great results out of people without being mean." True to form, his calm smile welcomes the first note of Beethoven's seventh symphony in a YouTube video of Gettysburg College's orchestra. The student performers respond with confident and graceful playing of the powerful, challenging piece of music before them. There are 34 members in Sonoma State's orchestra this semester, with a goal of 60-80 down the road. "The symphony orchestra program will expose students to the gamut of orchestral music, from pops to Baroque, spanning many centuries," says Kahn. Many players are also in the university's symphonic wind ensemble, previously the largest ensemble offered by the music department. It will remain, as will other groups like the Latin jazz ensemble, SSU chorus, and chamber singers, among others. "We're adding to the rich tapestry of ensembles to choose from," says Kahn. Like the wind ensemble, community members will also be invited to join the orchestra, says Kahn, but all players will have to audition. "The repertoire for this fall is more challenging than anything the students have played before at SSU," says the orchestra director. The first performance is December 11 in Weill Hall at the Green Music Center. The program includes Beethoven's first symphony, Mozart's Piano Concert No. 20 and John Corigliano's "Invitation to the Voyage." About the Beethoven, Kahn says, "It's challenging, but not impossible. Beethoven is included in the core repertoire for orchestras all over the world. Since it's his first symphony, we thought it would be good to include it in our first concert." Sonoma State music professor Marilyn Thompson joins the orchestra at the featured soloist for Mozart's piano concerto no. 20. "I chose this piece to give students the experience of playing with one of the finest pianists in the Bay Area," says Kahn. "Invitation to the Voyage" is an orchestral adaptation of a 1971 choral piece inspired by a Charles Bauldelaire poem. "It's symbolic, of course, because the orchestra is starting its voyage here at SSU," says Kahn. Kahn also plans to implement a concerto competition next semester, where students and community members in the orchestra can audition to be a featured soloist in a concerto with the orchestra. It will be open to all instruments and voice. 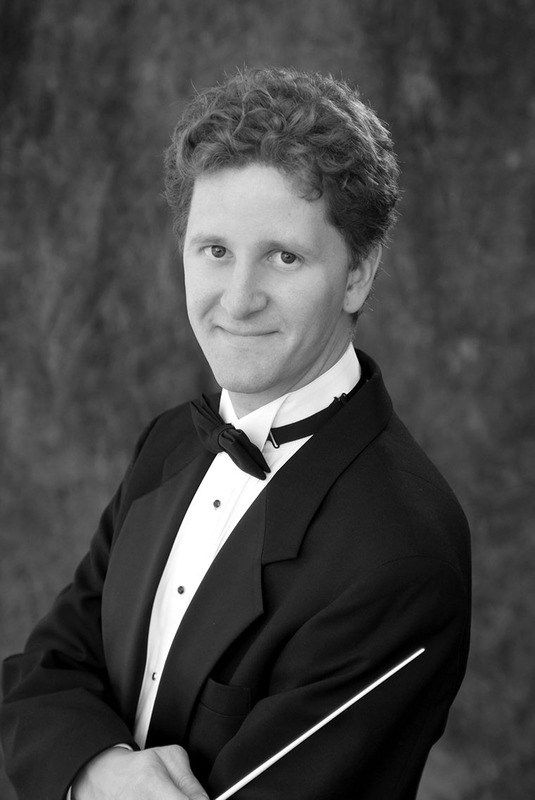 In addition to his academic work, Kahn has served as cover conductor for the Baltimore Symphony, and is a staff conductor for the Spoleto Festival USA. He was formerly assistant conductor of the Bamberg Symphony, in Bamberg, Germany, and also founded his own professional chamber orchestra, Metta Ensemble, in Gettysburg, Pennsylvania. The French horn, violin and piano player is no stranger to Sonoma County, or Sonoma State, for that matter. He has worked with SSU music professor Lynne Morrow in the past and has known the Santa Rosa Youth Orchestra conductor Richard Loheyde for many years. "I'm looking forward to starting something new at and watching it grow, and to working with incredible faculty and visiting artists," says Kahn. Find out who's really pulling the strings when the Sonoma State Symphony Orchestra presents its first-ever family concert on Feb. 26 in Weill Hall at the Green Music Center, featuring Bay Area marionette performance group Fratello Marionettes. Acclaimed lyric soprano Rhoslyn Jones joins the Sonoma State University Symphony Orchestra for an evening of 'Musical Postcards' on May 1 at 7:30 p.m. in Weill Hall at the Green Music Center.